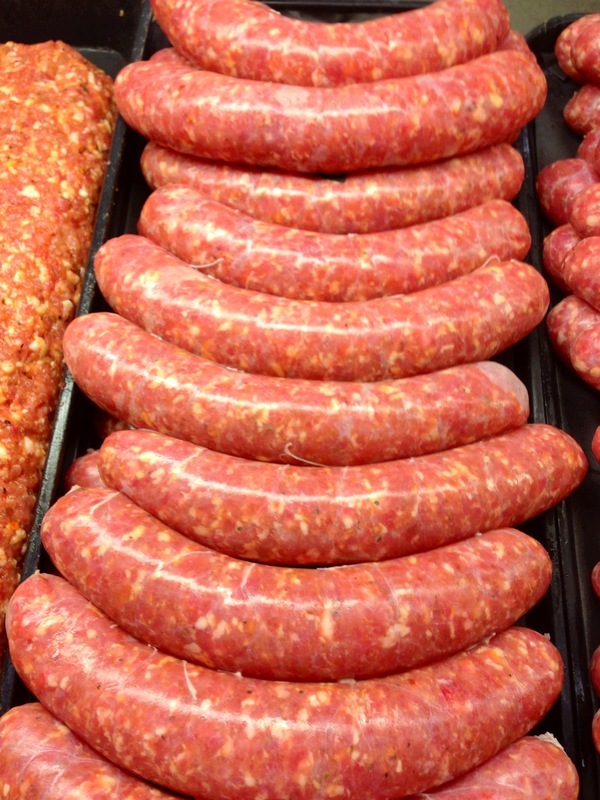 We also carry fresh sausage casings for those whom want to make their own sausages! 7″ Italian, Oktoberfest or Debrazinni pre-cooked vendors sausages. Famous for quality that you’ll be sure to love! Try and see for yourself! Use the same product as the hot dog vendors for your family BBQ or for your company BBQ. Soloways we carry 100% all beef wieners sold in 3 kg box approx. 32 wieners & 7” length. We also carry 3kg fully cooked Italian sausages and debrezziner sausages. Many of the soloway products are sold to local hot dog vendors and we have all the bulk condiments available for purchase as well such as ketchup,mustard,relish,hot pepper rings, sliced olives and we also carry the yellow 7” vendor style hot dog buns. 7″ Jumbo hot dogs come in 6.6 lbs boxes (approx 30 pcs) and they are available in pork and beef as well as their famous Coney Island All beef wiener. Schneider’s fully cooked breakfast sausage rounds; just warm & serve. Great with eggs on an English muffin or for an extra touch add some pemeal bacon. Maple Leaf’s fully cooked breakfast links are the perfect sausage for large gatherings where time is of the essence. Just heat & serve and have the perfectly cooked sausage each and every time. Great for the kids when you do not want them turning on the stove in the morning they can heat in the microwave in under 2 minutes. Made in house from only fresh ontario select boneless pork and then seasoned with only allergen free quality ingredients. Our honey garlic sausage contains 100% pure local honey; garlic; salt and pepper and that’s it. we believe these are some of the best sausages in town. We carry Honey Garlic, Garlic, Hot & mild Italian; Oktoberfest and often Chorizo and Mexican. These sausages are fresh and made daily. Made in house from ontario boneless select pork and seasoned with quality ingredients but never any fillers or binders or allergens. Try our traditional breakfast sausage or apple maple or cranberry maple. We also carry bulk frozen 5kg restaurant style breakfast sausages made by Leadbetter Foods. These are ideal for people who need a larger quantity of product. This only lists a portion of our sausages and wieners; check in store for our many in store specials every week!